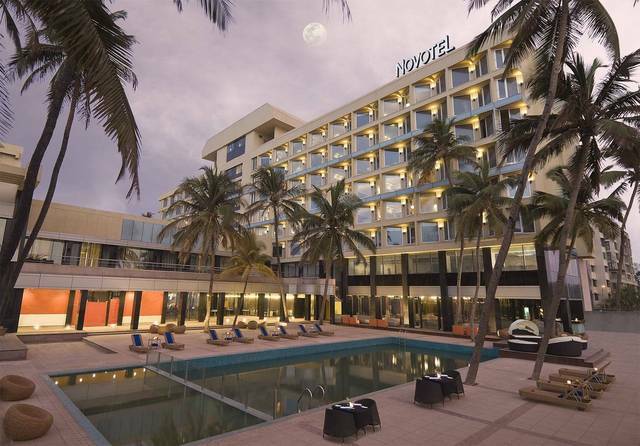 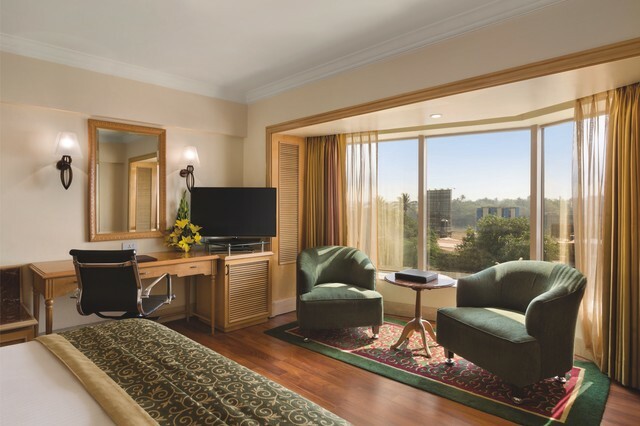 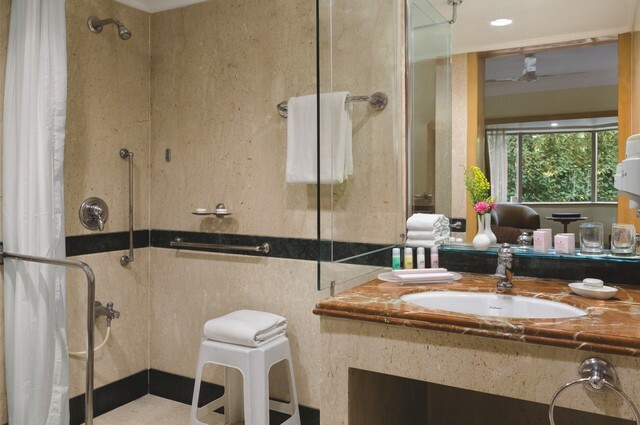 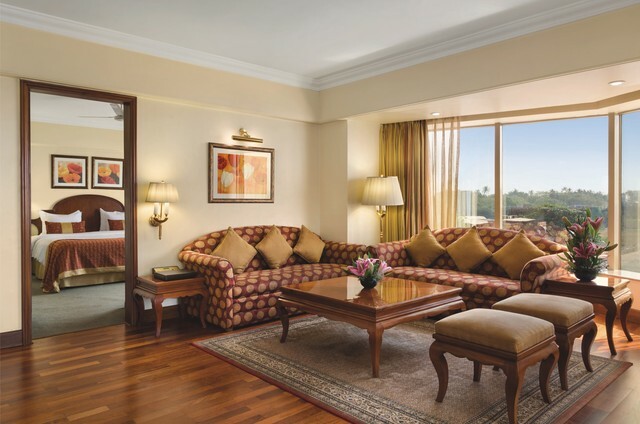 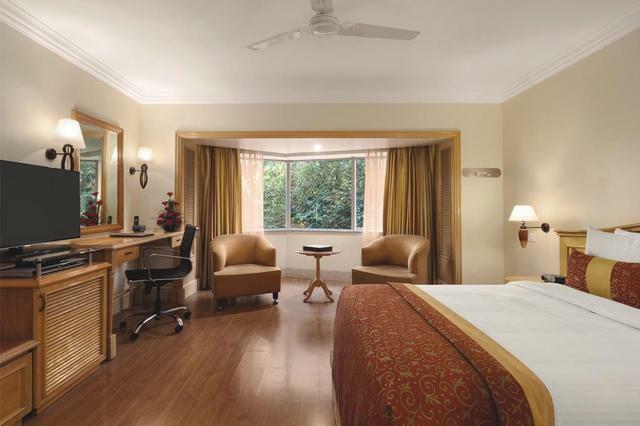 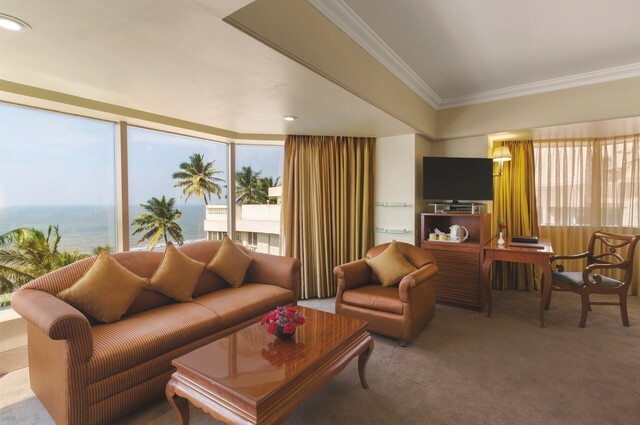 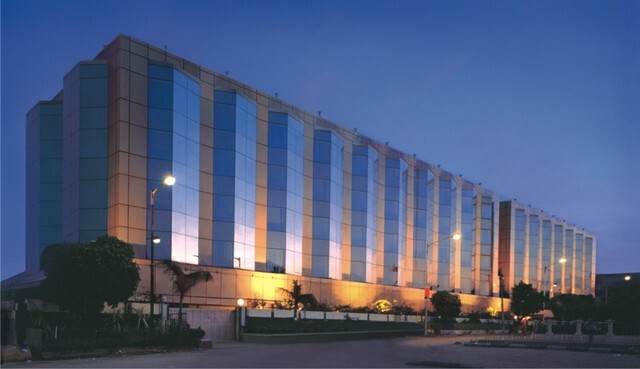 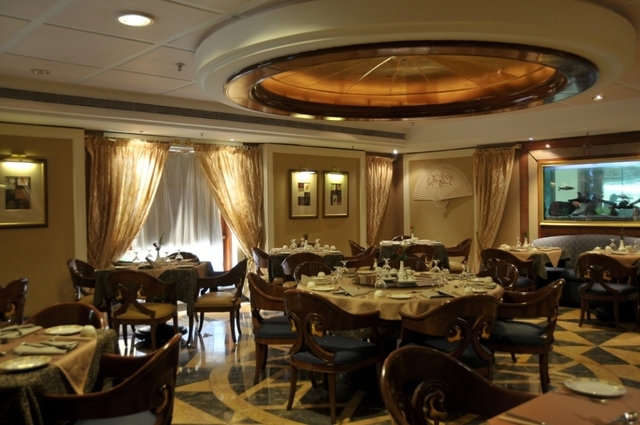 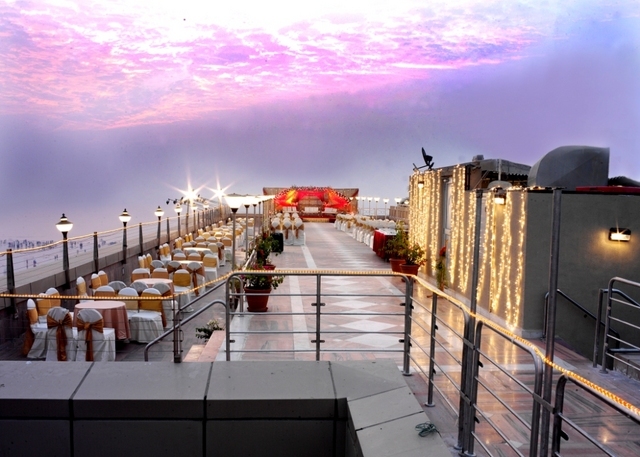 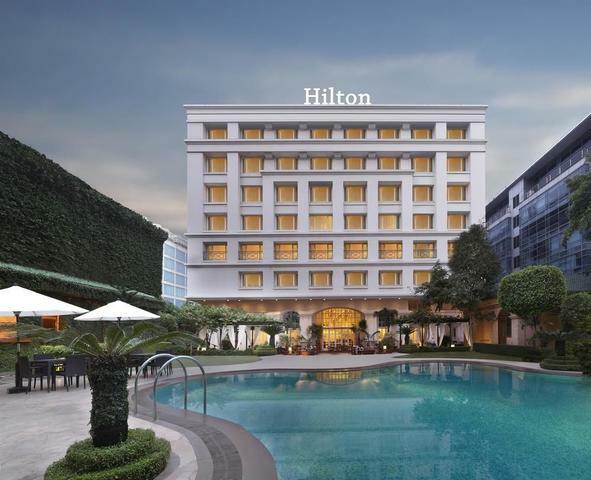 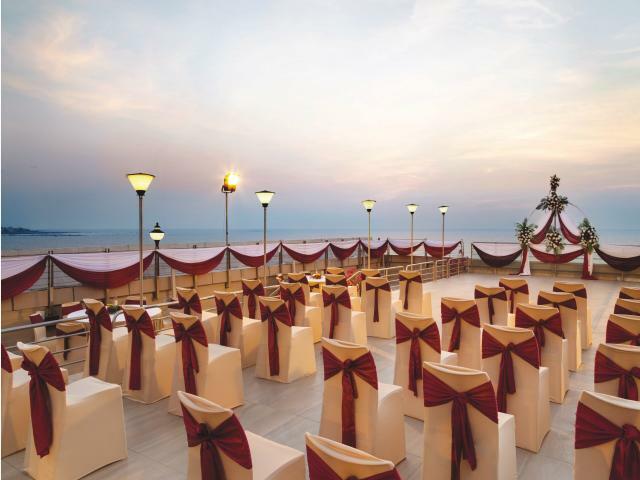 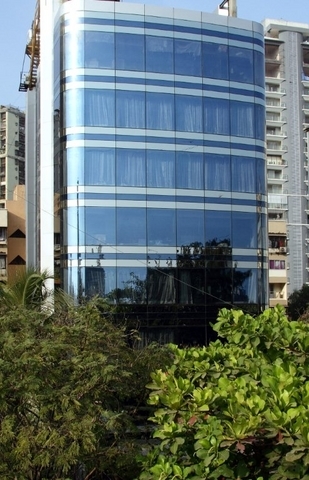 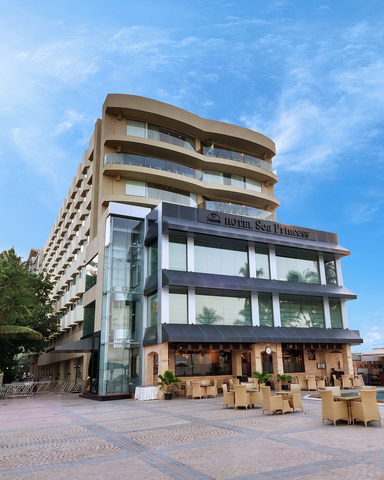 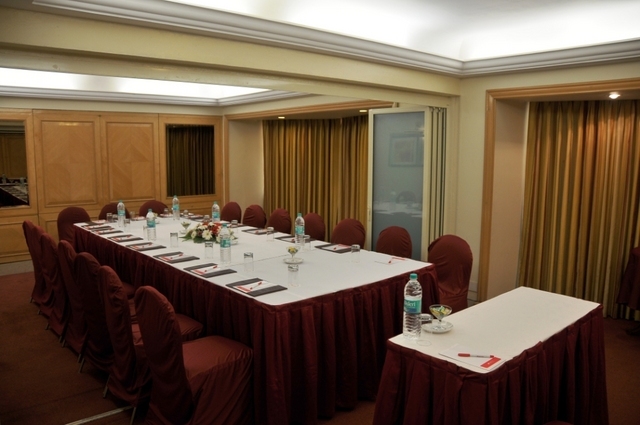 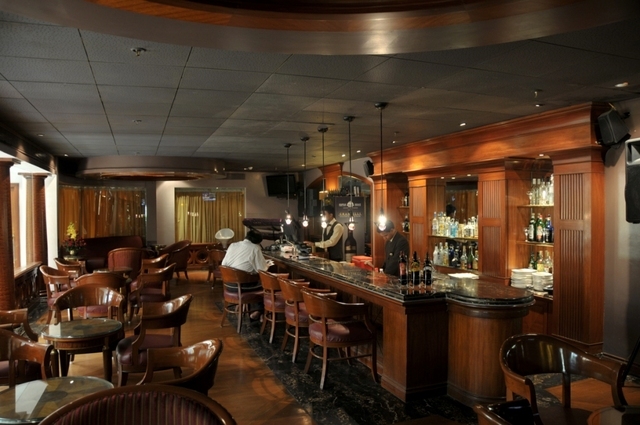 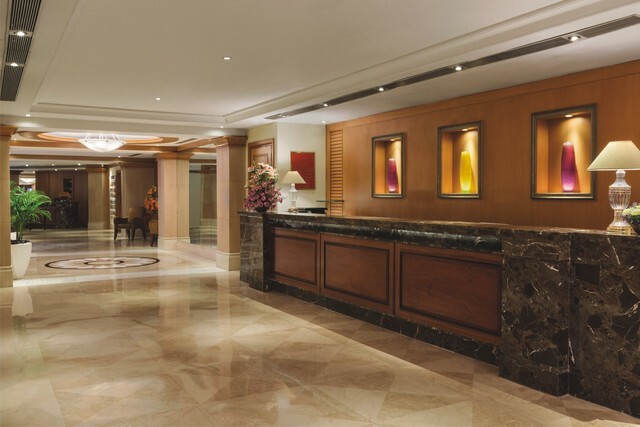 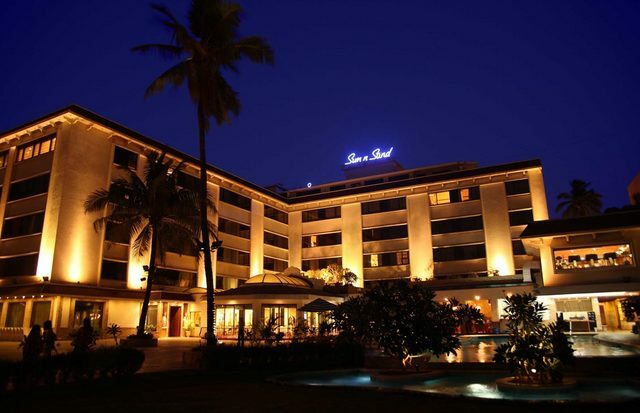 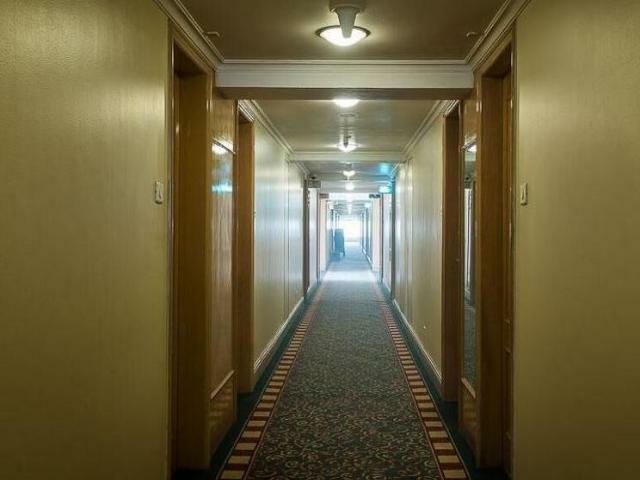 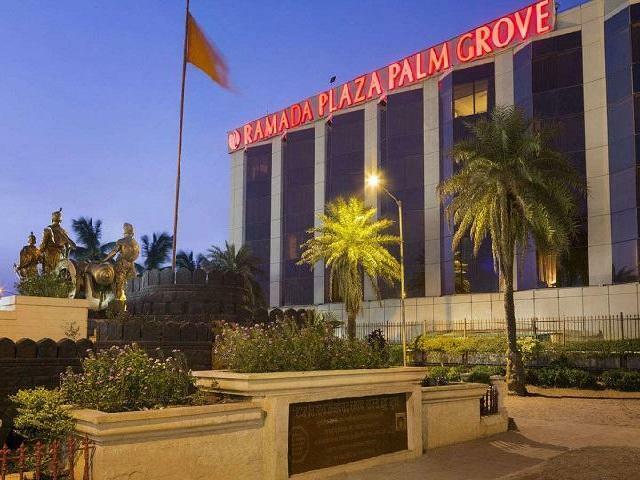 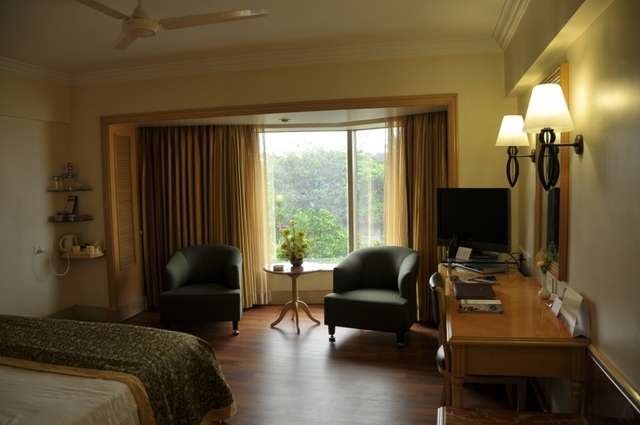 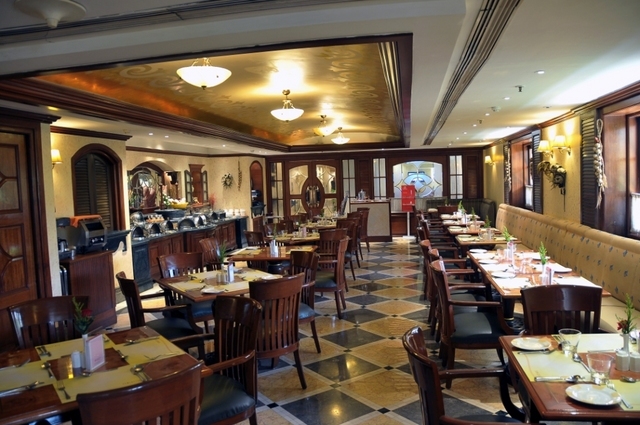 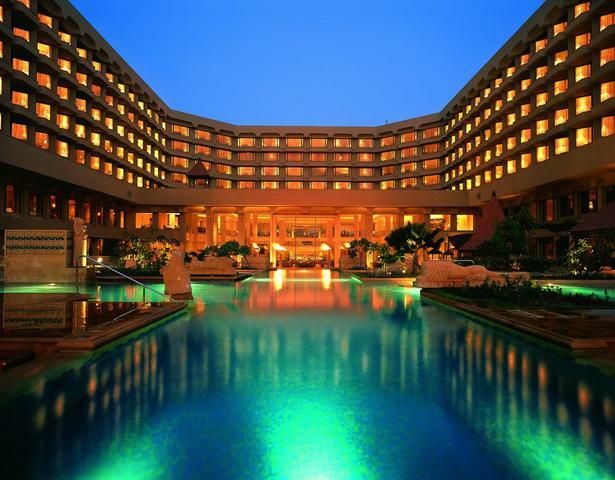 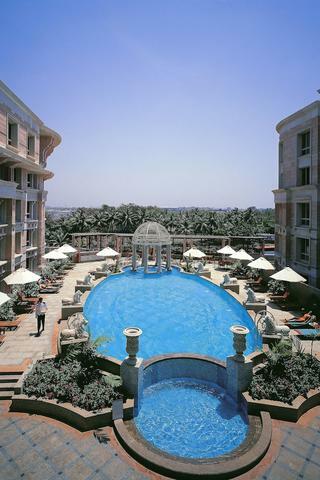 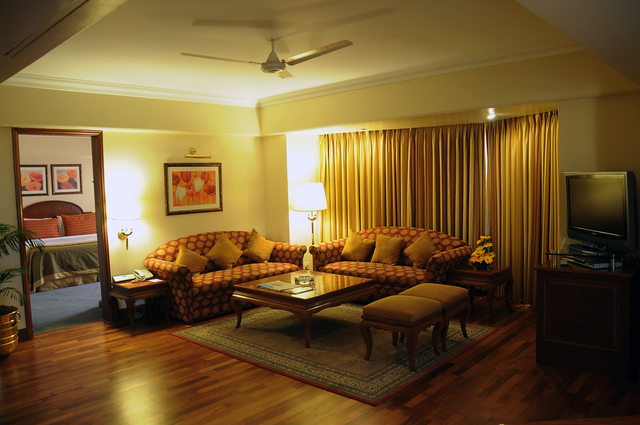 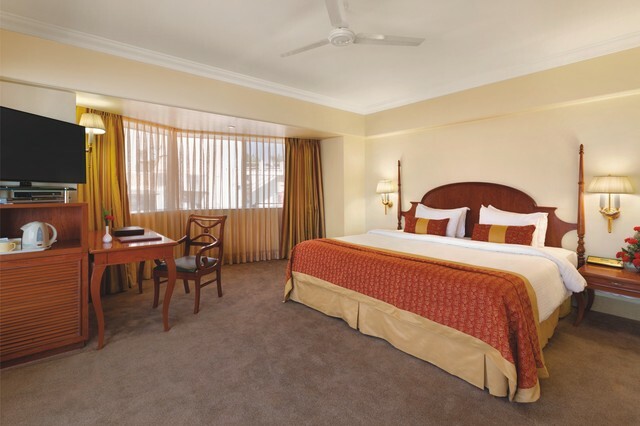 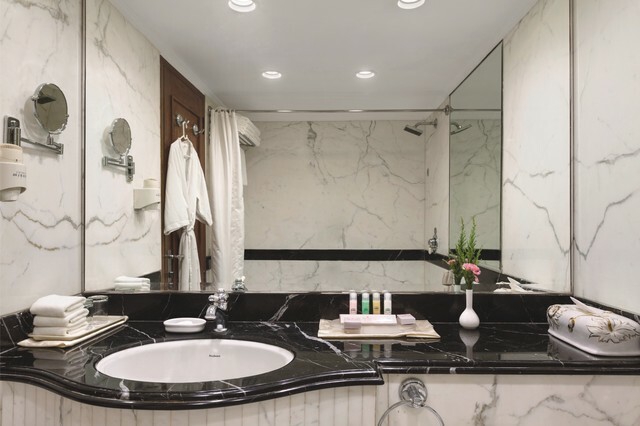 Situated near the famous Juhu Beach, Ramada Plaza Palm Grove is a 5-star accommodation in Mumbai. 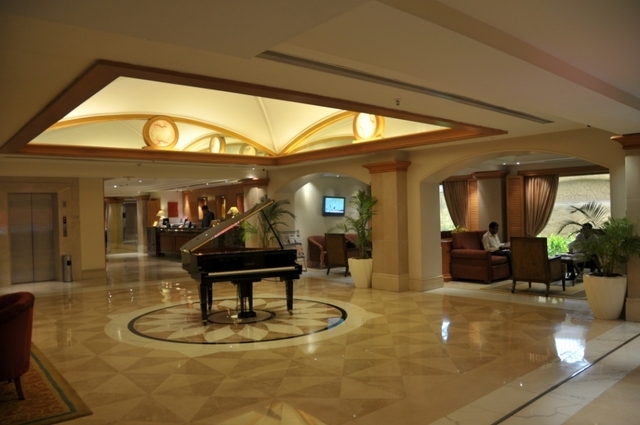 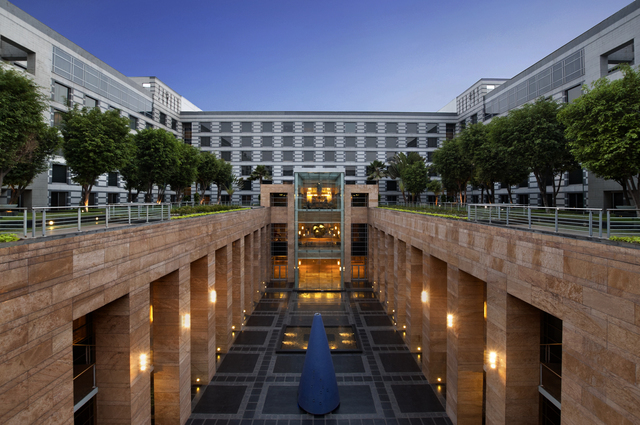 The Chhatrapati Shivaji international airport is 8 km away from the hotel. 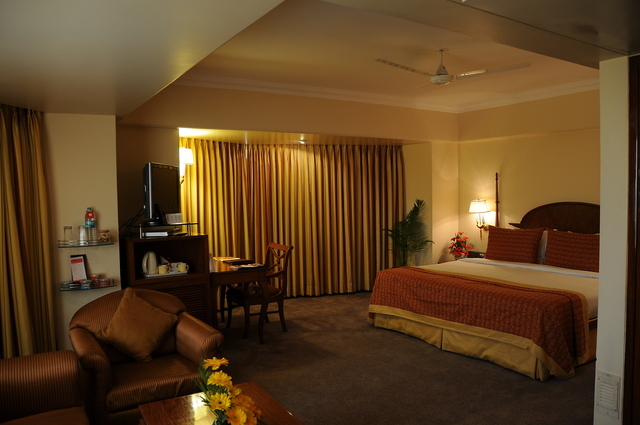 The property has spacious deluxe/twin room, executive salon and deluxe suite rooms which comes with air-conditioner, complimentary internet access, complimentary water bottle, complimentary breakfast, hair dryer, flat-screen TV with satellite channels, a telephone, closet, mini-bar, tea/coffee maker, work desk, in-room safe, laundry and housekeeping service and attached bathroom with essential toiletries, bathrobe and bath slippers, hot water. 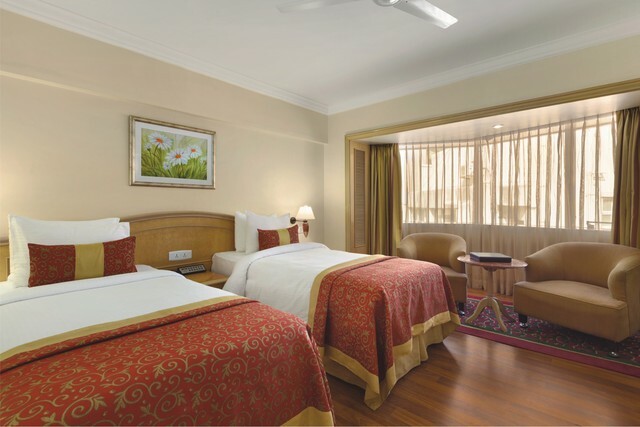 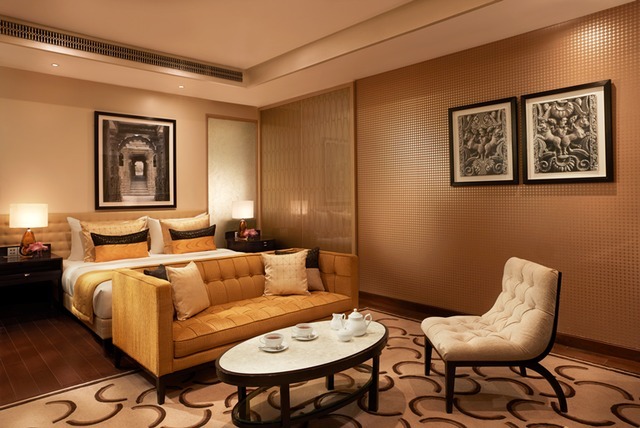 Besides a mini-bar, fire alarm, choice of pillows, alarm clock with FM, DVD player are among other amenities available in-room. 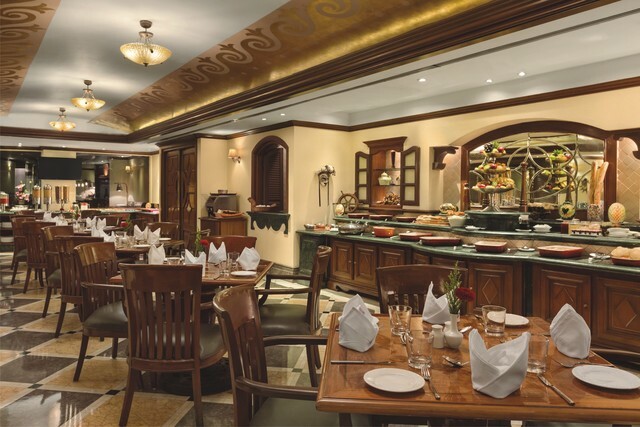 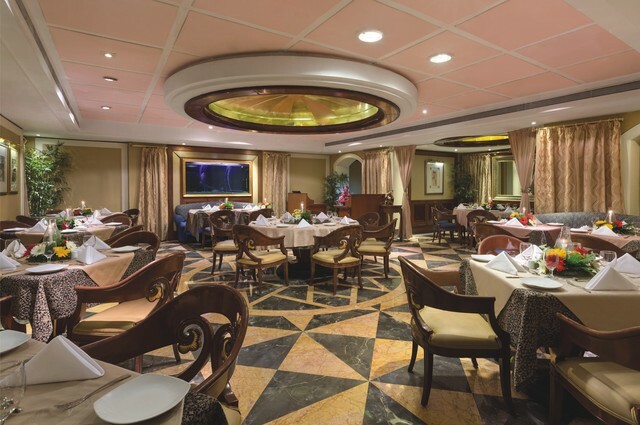 Guests can satiate their hunger at the in-house dining facilities known as Tangerine Cafe which is a 24-hour coffee shop, Oriental Bowl which serves Chinese and Thai cuisines, Poolside patio with buffet lunch and beverages and a bar serving a wide range of drinks. 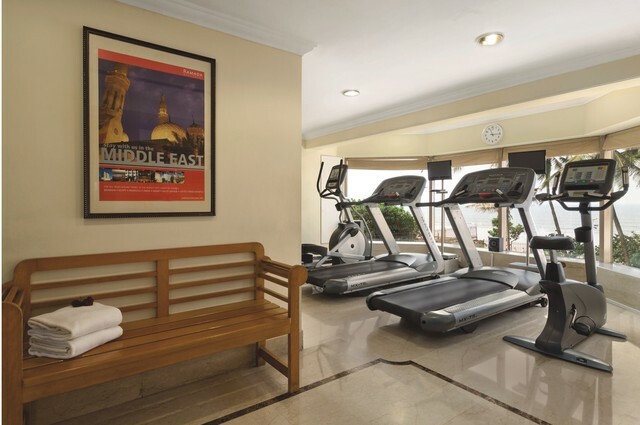 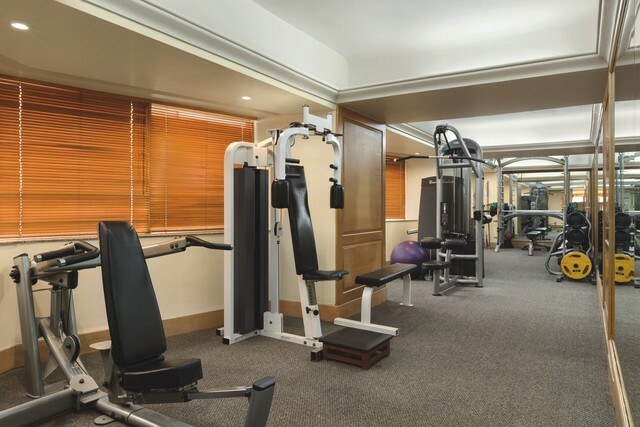 Guests can unwind at the on-site swimming pool and maintain their work-out routine at the gym. 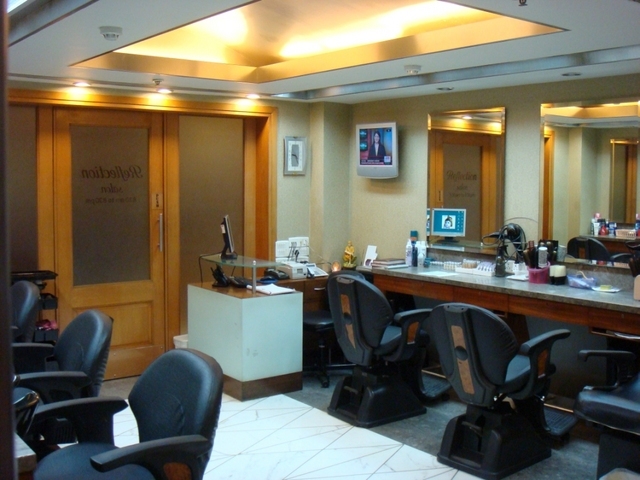 Moreover, there is a unisex beauty salon and a bookstore to personal grooming and to spend quality leisure time. 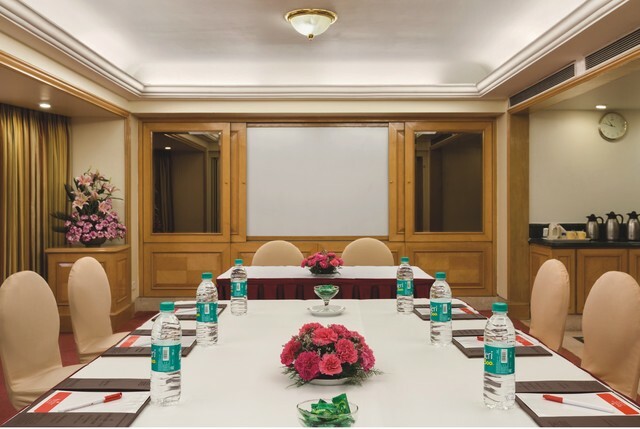 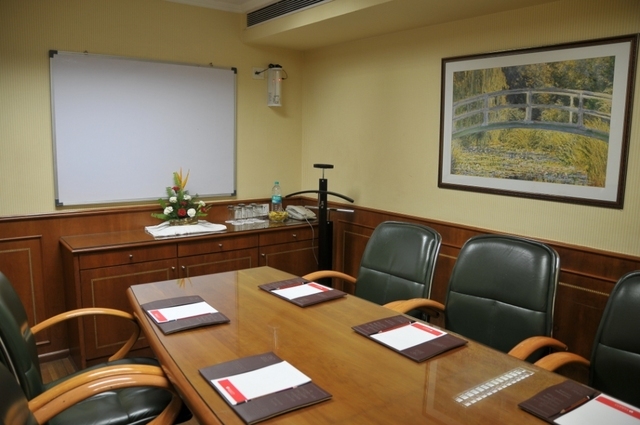 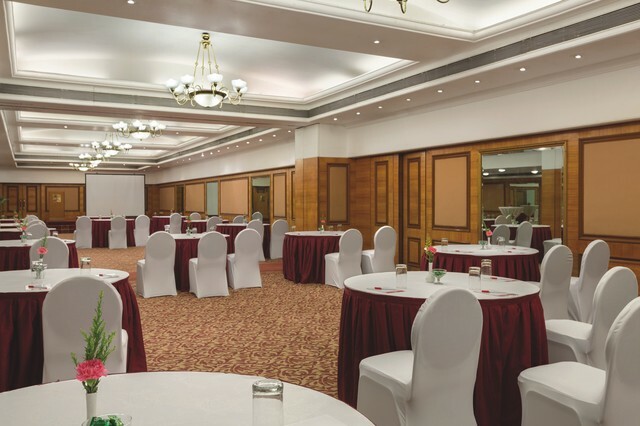 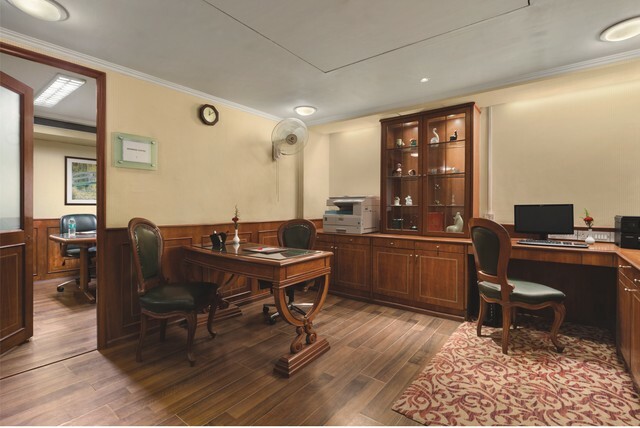 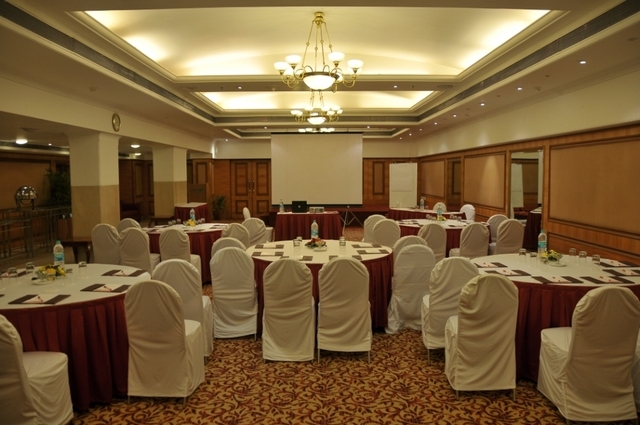 For business needs and events, the hotel has spacious banquet halls and fully-equipped business centre as well. 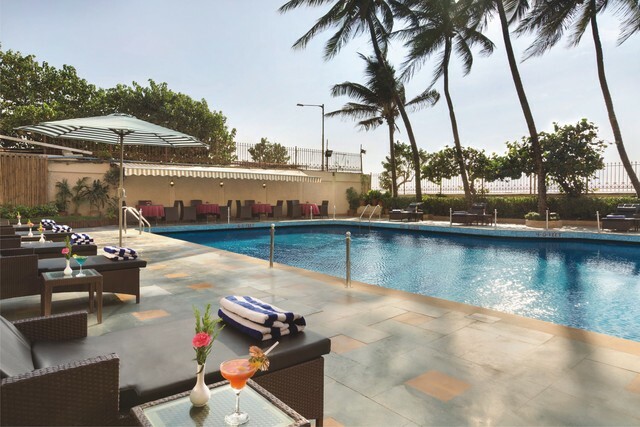 When it comes to travelling, the D. N Nagar metro station Andheri West is about 4 km, Andheri east railway station is about 5 km, Dadar railway station is about 11 km and Marol Naka metro station is a km away from the hotel. 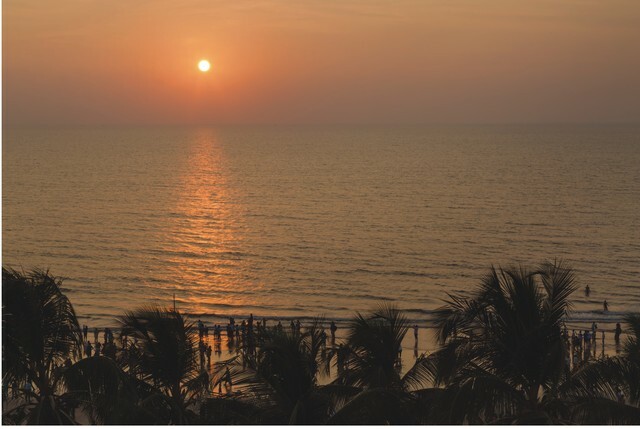 Taking a stroll on Marine Drive, catching your favourite movie at a multiplex, dipping your feet in the cool waters at Juhu Beach or paying obeisance at Siddhivinayak Temple are some of the things to do in Mumbai. 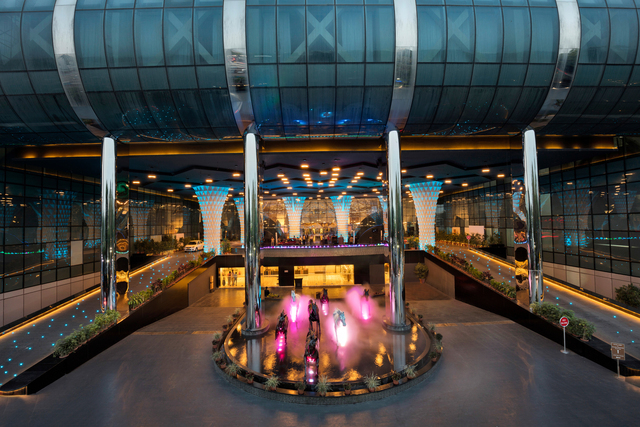 Whether its the trendy malls or roadside stalls, shopping in Mumbai is a pleasant experience. 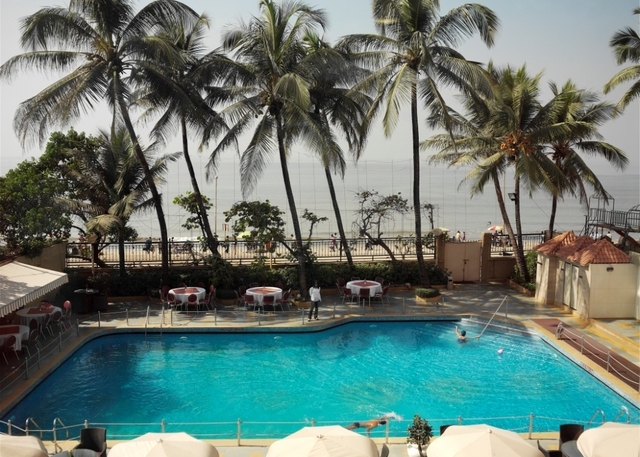 While summers are too hot and monsoons not favourable for sightseeing, the best time to visit Mumbai is from October to March.